Happy New Year from Peers for Progress, the program of the American Academy of Family Physicians Foundation dedicated to promoting peer support in diabetes, health and health care. 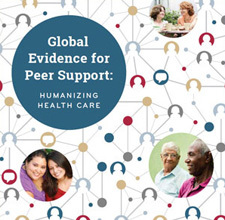 Solid research to strengthen the evidence for peer support, networking to promote knowledge sharing among thousands of peer support programs, and resources to facilitate quality improvement all contribute to our goal of increasing peer support programs and improving their quality around the world. In this letter, I would like to share some highlights of the past year with you – our collaborators, advisors, and leaders of peer support programs. All our activities were energized in February when, with the support provided by the Eli Lilly and Company Foundation, we announced fourteen grants totaling $7 million. This funded programs in nine countries on six continents.